People who have experienced losing their keys understand how important locksmiths are and keep the locksmith’s contact number handy, just in case. Even if you don’t lose your keys, they can and do sometimes break off inside locks, and when that happens a locksmith services are needed. A locksmith can save the day, if you have a broken lock or have lost your keys. Finding the best lock repair services in Melbourne is advised because they will respond quickly when you need them. 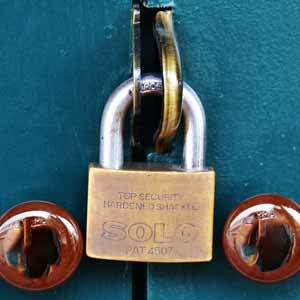 Glenferrie Locksmiths offers the best lock repair services in Melbourne. With over 30 years of experience in the industry, our locksmiths have the skills and training to handle any urgent residential, commercial and automotive lock issues quickly. Glenferrie Locksmiths is a member of the Master Locksmiths Association, and as certified technicians we only use the highest quality of tools and equipment when helping our customers with their lock and key problems. If you need to get into your home fast, our locksmiths will be their when you need them. We specialise in all types of locks for doors, drawers, cabinets, chests, padlocks and any locking mechanism. Every hour an office or business can’t operate, money is lost. Having the contact number of Glenferrie Locksmith on your mobile phone can save you money if you can’t get enter your business. Keys can break and locks can get jammed, preventing employees from accessing the workplace, storage rooms, drawers, or a safe can hinder business. Lock rekeying services are vital for both residential and commercial spaces. After tenants move out, or when employees leave a company, rekeying locks is important because it makes sure that your building is secured. Glenferrie Locksmiths has the best lock repair services in Melbourne, we have professional locksmiths that are reliable and we provide fast service when you need it.